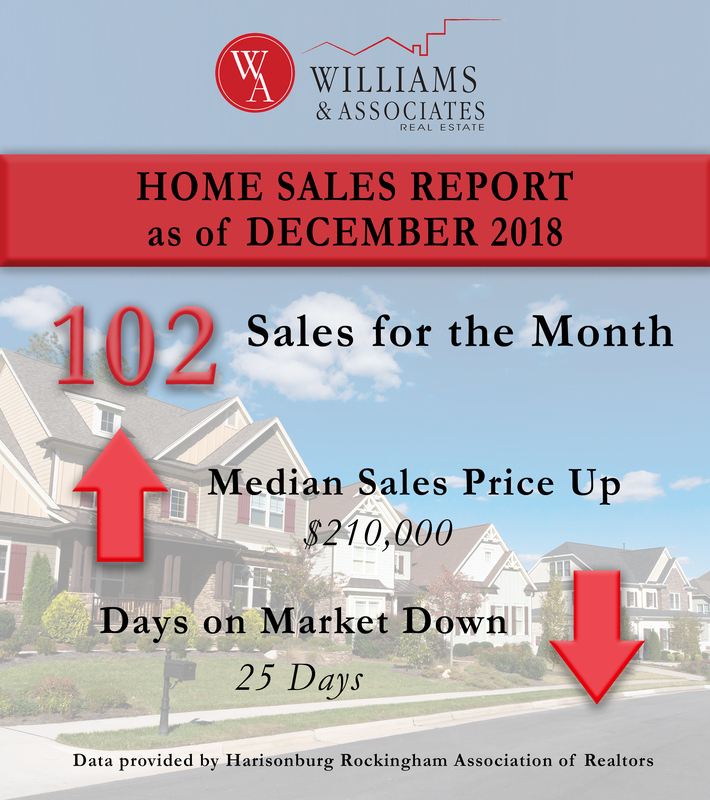 The Team at Williams & Associates wanted to share the Real Estate Market as of December 2018 and some year-to-date statistics for 2018. The Median Sales Price for all residential properties that sold in 2018 is $211,750 which is a 6.8% increase from 2017 which was $198,250. Sales in Harrisonburg and Rockingham County have gotten quicker too. The Median Days on Market for a residential home year-to-date for 2018 is 25 Days which is 24% quicker than 2017 which was 33 days. In December of 2018 there were 102 sales which is one house sale away from 2017 which had 103 days. The housing inventory is still under a six-month supply, which means that homes are still in high demand so DO NOT WAIT TIL SUMMER to list your home. Now is the perfect time! Since there is less inventory on the market that means there is less competition, which means you can Sell Your Home Faster than other years. If you are interested in Buying or Selling contact any one of our team members here. The Team at Williams & Associates cannot wait to work with you in 2019!